The Pound Euro (GBP/EUR) exchange rate is in a holding position this morning as GBP investors brace for the Bank of England’s (BoE) first rate decision of 2019. At the time of writing the GBP/EUR exchange rate is virtually unchanged from its opening rates this morning, holding around half a cent above the pairing’s worst levels this week. Pound Euro (GBP/EUR) Exchange Rate to Slump on Dovish BoE Outlook? The Pound (GBP) is rangebound against the Euro (EUR) and the majority of its other peers this morning as markets await the conclusion of the BoE’s first policy meeting of the year. 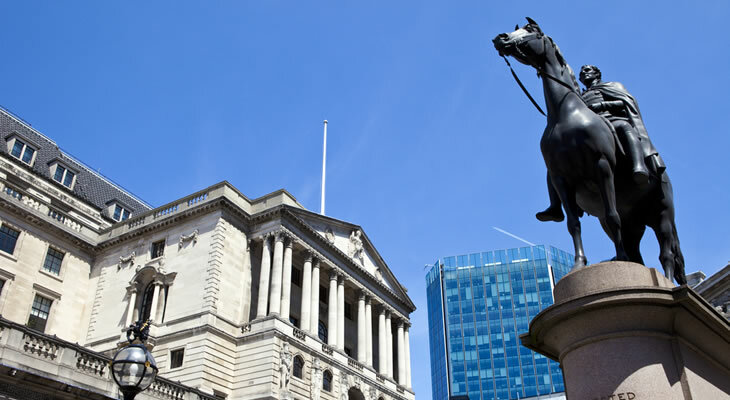 Economists aren’t expecting any surprises from the bank today, with forecasts that the BoE will vote unanimously to leave interest rates on hold this month as Brexit continue to cloud the outlook. However likely to be more impactful will be the Bank’s forward guidance for 2019, with elevated uncertainty surrounding Brexit and signs of slowing domestic and global growth potentially leading to a more dovish outlook from the bank than it previously struck. Some of the more pessimistic analysts even forecast that this many lead the BoE to even considering delaying its next rate hike until 2020, any hints of which would likely drive heavy losses in Sterling. GBP/EUR Exchange Rate Forecast: Fresh Brexit Uncertainty to Drive Volatility in Sterling? Looking past the BoE’s rate decision, movement in the Pound Euro (GBP/EUR) exchange rate is likely to becoming increasingly sensitive to Brexit developments as Theresa May travels to Brussels in an attempt to renegotiate the EU withdrawal deal. This could see Sterling come under pressure if EU continues to rule out any changes to the deal as it increases the risk of the UK crashing out of the EU without a deal. Meanwhile, the Euro may find some support in the tail end of the week following the release of Germany’s latest trade figures. Economists forecast that exports will have seen a modest rebound at the end of 2018, potentially helping to alleviate some fears that Germany fell into a recession.